Front line supervisors in process operations are recognized as key performance drivers in reaching an organization’s business goals. Typically, their expertise is comprised of technical skills, but their ability to manage people and operations is not well-developed. The TDS Front Line Supervisor Development Program (FLSD) closes the gap between the technical expert and supervisory excellence. A single careless decision by an unprepared supervisor can cost your company far more than the investment in manager training that could prevent such an occurrence. Ill-equipped supervisors can negatively impact a business by compromising workplace safety, impairing production and tainting the company’s reputation. By investing in our Front Line Supervisor Development (FLSD) program, you can avoid these risks and close gaps by providing your high-potential candidates, new supervisors and current supervisors with the skills and knowledge to become leaders of high-performing teams. 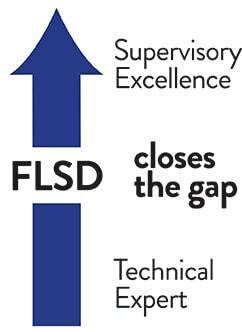 FLSD is not a one-time workshop. It’s a comprehensive supervisory management program that incorporates learning, application and accountability, facilitated through three distinct phases. As they say, practice makes perfect. TDS is a training company that believes the best way to truly learn is to experience a practical application of the knowledge. Unlike workshops or classes that give you the information and leave you to execute it independently, FLSD teaches supervisors how to immediately apply the knowledge gained during learning sessions to their jobs. Between learning sessions, participants are given both real and practice assignments that encourage and enforce critical thinking. In this phase, TDS partners with management to identify one final project using a real-life situation within their organization. Participants are expected to execute the project independently using the knowledge they’ve gained during the first two phases. Throughout the program, TDS ensures accountability by implementing checkpoints where we touch base with management and supervisors to make sure they’re following through and completing assignments. Let TDS begin developing excellence in your workforce today. Download more information on our FLSD Program or contact us. *2014 HBR Analytic Services, Frontline Managers: Are They Given the Leadership Tools to Succeed? Why do front line leadership training programs fail? Take a look at 5 reasons why. Just how effective are your training programs and courses? Find out. Learn how our FLSD program closes the gap by arming supervisors with the skills and knowledge to become high performing leaders. 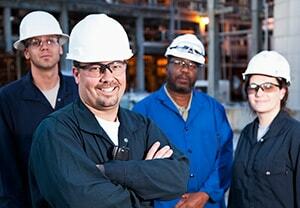 High impact learning assists client in addressing supervisory challenges. Read the success story. Our Learning solutions have your workforce covered from hire to retire. See how.